Those in support of industry licencing argue it would see raise standards across the board, deter rogue mechanics and prevent dangerous workshop practices – particularly when it comes to working on electric vehicles. 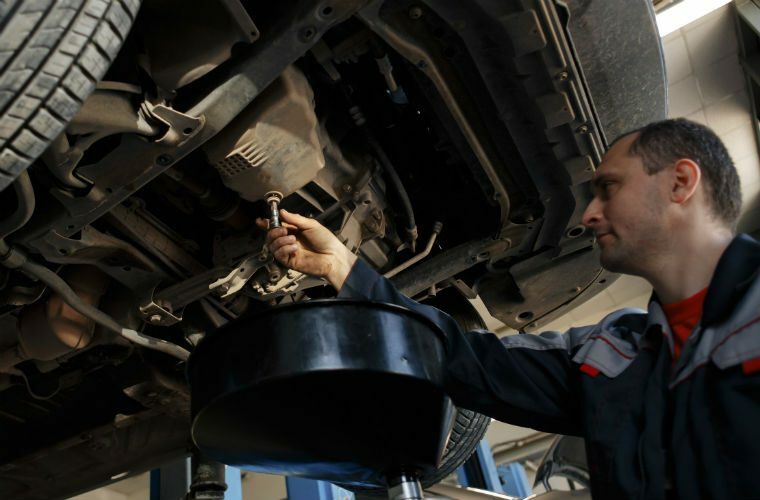 Commenting on GW, Michael Ball wrote: “The licensing and registration of fully qualified motor vehicle technicians, making it an offence to work on motor vehicles if not so registered, should have been brought into effect many, many years ago. “Now it is becoming a matter of urgency. Michael and a number of other forum users went on to suggest that industry calls are going unheard. He added: “Unfortunately, the sad fact of the matter is, that it is probably going to take to take the death of a mechanic/technician or two that doesn’t get suppressed by the government and becomes widely publicised, before any positive action is taken by the powers that be. Similarly, George described regulation as a “win-win” for both technicians and garage customers. He said: “We all owe it to the motorist to provide a service by a qualified technician who will diagnose and repair each job correctly. Franco Di Lustro, who opened his garage in 2014 and is a member of the Independent Garage Association and is AA Approved, said he fears for his industry if it continues to go unregulated by government. He said: “I opened my business six years ago now and have done everything by the book. “The AA take a very close look and even check for jack calibration certification. “I pay a price for this and it has to be reflected in our labour charges. 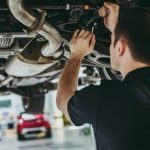 “Joe blogs down the road or even a kerb-side mechanic can undercut all of us who invested large sums of money on training equipment. “It’s a big like the corner shop use it or lose it. Verifying what he believes needs to be the basis of regulation, George commented: “We should emphasise the fact that what we really mean is that technicians working on cars should have up to date training and qualifications so they are then capable of doing the job. 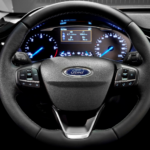 “Right now the master tech training and exam falls short in the complex modern vehicle. “That is why we see some master technicians struggle. John said: “Licensing has shown it achieves very little. “Look at the government instigated ‘Part P’ legislation for electricians, things still go wrong. “Some of the best mechanics I have known had no formal training or qualification. “I have met PhDs who don’t know the safe end of a screwdriver. A recent GW reader poll showed that 17 per cent do not support calls for industry licensing. David said: “A license system will change nothing at all. 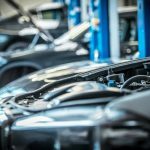 Some claim current optional regulatory schemes mean the better-quality garages can stand out above the rest and as such attract better customers who are willing to pay for quality parts and regular maintenance. Philip Dunmore, who explained that he’s not “not sure” he’d welcome blanket licensing, said: “Our current business model means we get better quality customers, legislation could force poor quality customers our way. The latest petition, which was created by Mohammad Shafiqul Haque and will close on February 16, 2019, has attracted around 800 signatures. It follows multiple other petitions but none have yet achieved the 10,000 signatures required for an official government response. Join the debate and share your opinions below. Home Page › Forums › Industry licensing debate gets reignited but who's listening? This topic contains 5 replies, has 2 voices, and was last updated by David 1 month, 3 weeks ago. Sudden imposition of an arbitrary standard will naturally meet resistance. Step 2. Convince insurance companies that those garages who meet the standard should enjoy lower premiums. Step 3. Increase standards slowly. technicians with the qualifications and experience of the particular aircraft. Mmmmmmm not sure it will work, after all, if we look at Belgium and Germany where I have friends who are vehicle technicians, they are paid a very good salary and are generally regarded on a par with solicitors and professionals generally. In the uk people think some blond bimbo with big lips and boobies who talks with an essex accent is some how far superior to a mechanic who in most peoples eyes is the lowest of the low and the word ENGINEER is swearing, enough said ! Our industry does need some form of regulation. I’ve been in the motor industry for just under 50 years and licencing was being talked about back then and it’s not happened yet. I don’t think some garages will support it because they employ unskilled “technicians” and pay them peanuts so will be afraid of losing them. That said, there are some very good mechanics out there with no qualifications so how regulation will work is something of a mystery, but it does need to happen to get rid of the “kerbside” bodgers! I think any good DIYer would want to up skill in my opinion. We have an apprentice that works at our garage and said last year that he was going to college this year whether the boss liked it or not, so any DIYer not really wanting to up skill will soon be left behind. I’m not however convinced that a solicitor and an engineer can be compared like for like, not sure how that works! Reply To: Industry licensing debate gets reignited but who's listening?